You may have noticed a new ribbon in the sidebar of the site today. 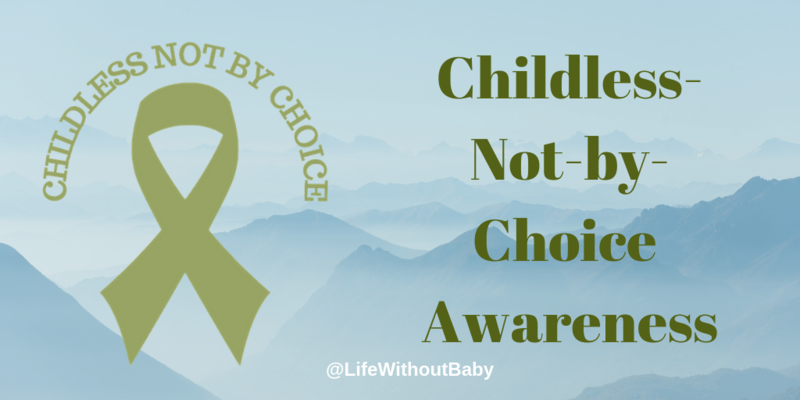 It’s the new Childless-Not-by-Choice Awareness ribbon, and I am proud to share it. The ribbon is the brainchild of Brandi from Not So Mommy. Her goal in creating the ribbon is to raise awareness about our community and to reduce the stigma surrounding childlessness. 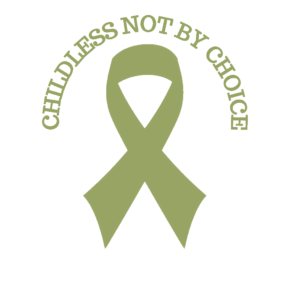 You can read more about her mission in her post today, and about how she came to choose olive green for the ribbon. As I told Brandi, as long as the childless-not-by-choice community remains in the shadows, we cannot begin to have conversations around the issues we face. Awareness is an important first step towards education, acceptance, and healing. But how do we create awareness when we’re in the midst of our own grieving? If you’ve been reading this blog or my books, you’ll know I’m a big proponent of taking care of yourself first and working through your own grief before venturing into the tricky territory of trying to educate others. 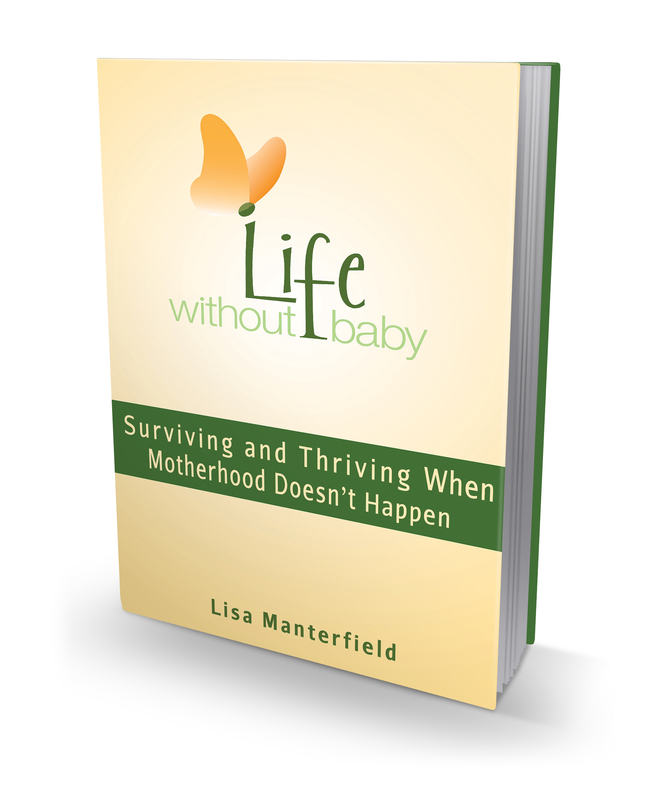 But Brandi and I, and many others, are now at a point where we can talk about our childlessness and losses without having a meltdown. If you’re at, or getting to, that stage, how might you start to raise awareness? Keep writing about my experience and sharing it with the world. What about you? How can you contribute to the awareness of our community in a way that feels right for you? I’d love to hear your ideas. 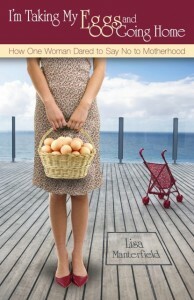 As always, thank you for writing a thought-provoking blog, Lisa. I appreciate your support of the ribbon and was honored to share your quote in my blog. And I am so humbled that you have placed the olive green ribbon on Life Without Baby. Our tribe is definitely growing, and it is so exciting to see our voices being heard! I am glad that you are moving past the intense grief and that your sadness over being childless lasts for shorter periods of time.